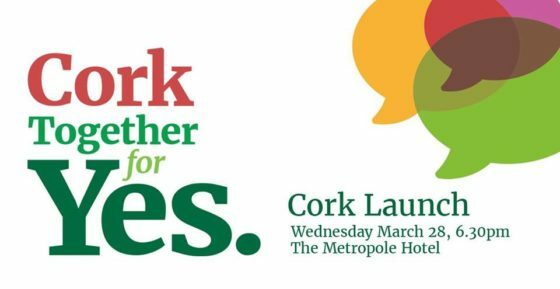 Come and join Cork Together for Yes – Cork Coalition to Repeal the Eighth for the official Launch of the Cork Together For Yes Campaign! 6:30pm Wednesday 28th March, the Metropole Hotel (Douglas Vance Room), MacCurtain Street, Cork. More speakers to be announced in the coming days. After the huge success of the launch of the national campaign, come join us to get the campaign rolling in Cork!